Bury defender Phil Picken has been forced to retire after failing to recover from two serious knee injuries. The 28-year-old, who was a trainee at Manchester United and also spent time at Chesterfield and Notts County, last played for the club in September 2012. 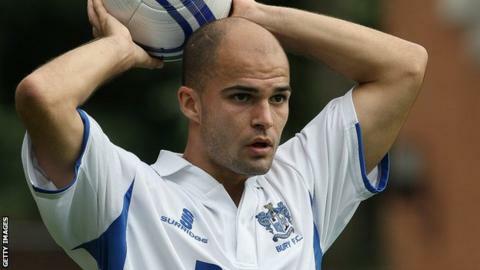 Meanwhile, Chris Sedgwick, Clive Platt and Reice Charles-Cook have been offered new contracts by the Shakers. But the League Two club will release seven players in the summer, including veteran goalkeeper Brian Jensen. Trevor Carson, Richard Hinds, Tommy Miller, Lewis Young, Robbie McIntyre and Tope Obadeyi will also be leaving the JD Stadium. Midfielder Andy Procter and striker Ashley Grimes have been made available for transfer, while Bury have taken up the one-year option on the contract of midfielder Andrew Tutte, meaning he will stay at the club next season.